Click the button below to add the [Kit] Lava Weatherproof Omnidirectional TV Antenna OmniPro HD-8008 to your wish list. Omnidirectional characteristics: You DON'T have to adjust your antenna pointing to different direction. This Multi directional antenna provides excellent non-adjustments to receive tv channels more easily. With dipole inbuilt for the excellent UHF and VHF band signal reception. Included in Package: Before start your installation, please check the contents. This antenna can be used both indoor and outdoor, with the included mounting accessories,it can be mounted on the wall or the pole. Using the mounting accessories to fix the antenna on the balcony. 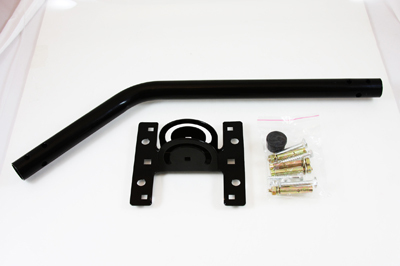 Use the pole mounting accessories to fix the antenna on the pole. cap to the end of the connected “F” connector. Keep the antenna away from the sources of interference: keep the antenna away from those big power consumption devices,such as air conditioner,elevator,hair dryer and microwave oven...etc. Place the antenna near windows when use the antenna in indoor environment. Install the antenna as high as possible: in digital terrestrital reception,if there are some interceptions between antenna and transmission tower, it will cause the signal loss temporary. So if the antenna is installed as possible, those interceptions will be reduced. TV Antenna Jpole - 20" mast with a 1" diameter is ideally suited for our LAVA Outdoor Antenna and most antenna models in the market. The J-Pole has a pivoting foot, which allows installation on vertical or horizontal surfaces. Mounting hardware is included. 40 ft of RG6 cable with Female/ Malle Coaxial F-Connectors. Flat Cable - Used for windows and doors, Great for RV's, sliding glass patio doors, windows. Close thedoor or window on the flat RG6. We are the Manufacture Direct with the Best Price in the Market! All orders shipped within 24hr after your payment has been verified! Similar Model Retail over $120.00 at a major retailer! Since the antenna can be aimed in any particular direction, you will be able to pick up TV signals much better than with a regular antenna. This is the perfect solution for any rural or suburban area. We have sold over 10,000 units to our customers, please read some of their reviews in the customer review section. YES! The antenna works on any standard TV or HDTV. You can use your analog TVs but at the same time have the access to digital TV broadcasts. YES! HDTV broadcasts quality is often superior to the quality of the same HD programs received through a paid satellite subscription. Not only the quality is better, OTA HDTV is free of charge. To pick up HD signals you will need a HD antenna. YES! HD antennas are much easier on the budget. Take a look at our HDTV Antenna selection. 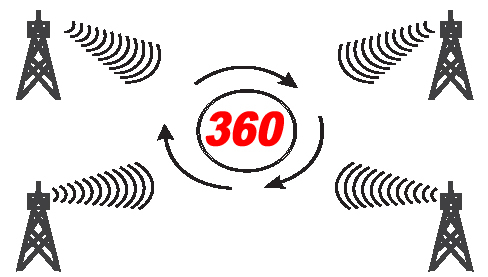 YES!If you want to pick up signals coming from different directions you need either two directional antennas or an antenna rotator. To check the available channel around your area, please click Antenna Web. # If the closest broadcasting tower is above 60 miles away from your location, the HD-2605, HD-8008 would pick up the most channel for you. # If the closest broadcasting tower is located between 40-60 miles away from your place, the HD-2805,HD-8000 would have the best result to pick up the most channel. # If the distance between your place and the nearest broadcasting tower is below 40 miles, you can check our Indoor HDTV Antenna section for best result. We guarantee all Home Antennas’ antenna products to be free of defects in workmanship and material for 2 years after sale to customers. We will replace the whole package or repair specific parts if any part is defective or doesn’t function appropriately. Customers are responsible for paying for the shipping cost of exchange and replacement. Exception to USB-TV and any refurbished items, warranty only covers Manufacturer’s defects for up to 60 days from date of purchase. Please do not immerse device in water or handling the device with wet hands. We are not responsible for printing errors. Supply until stock is available. Prices are subject to change without notice. Some pictures may vary from actual item. Wholesalers and distributors are welcomed.